Capture all of your family fun on Thanksgiving and then remember it forever with a FREE hardcover photo book for new customers who sign up with MyPublisher. This would also make a great Christmas gift! This deal is only good through December 2. 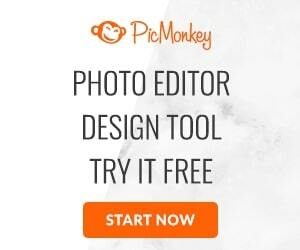 Click here to create your photo book! If you have an iPad, this deal is for you! Try a 1 year subscription to Fitness Magazine (free for 30 days) and get a $10 iTunes Code. Click here to get this deal! Paper Coterie is offering this FREE Thankful Printable just in time for Thanksgiving. It comes in 4 different color combos so you can find one that perfectly matches your decor! Download yours here! If you’re looking for a sweet deal on cards, mugs or other personalized items, you’ll want to check out this awesome deal from Vistaprint. Right now they are offering new customers $10 off a $10 purchase. If you’ve never ordered from Vistaprint, now is the time. Click here to check out their awesome deals!